Rama pulled the splendid arrow out of his quiver. It had been given to him long ago by the sage Agastya who had told him that he could use it only once and only for a great enemy. The incomparable arrow held the wind in its feathers, the sun and the moon in its shining tip, the earth in its shaft and the power of the doomsday fire in its flight. Ramayana—an unforgettable tale of love, adventure, flying monkeys and god acting in the world of humans—has been treasured by readers around the world for thousands of years. 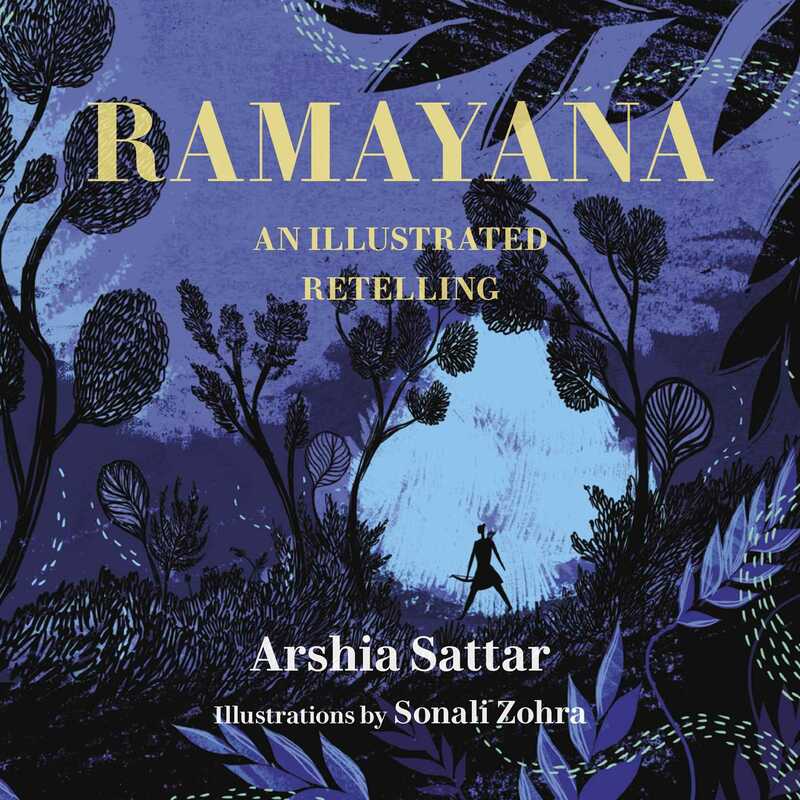 Now in an authoritative, gripping retelling by the renowned Ramayana scholar Arshia Sattar, readers have a new chance to explore this classic’s riches. Arshia Sattar has a PhD in classical Indian literatures from the University of Chicago. Her translations from Sanskrit, The Ramayana of Valmiki and Tales from the Kathasaritsagara, have been published as Penguin Classics. She has also written books for children, including The Adventures of Hanuman. Sonali Zohra studied fine art and photography and applies the principles of both to her work. From murals to illustration on ceramic, communication design, photography and illustration for books, whatever the medium, she tries to strike a balance between color, form and light.